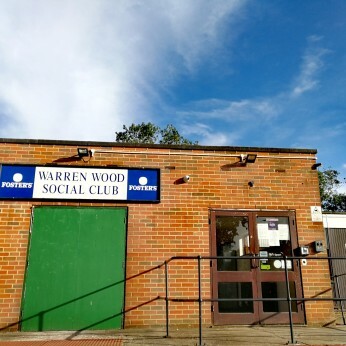 The Warren Wood Social Club opened its doors in the 1970s for the community of the Warren Wood Estate so that there was a place to go to meet friends and families and partake in many social events. The membership grew and it was decided to open the membership to further afield. We have members from all over the Medway Towns and even have a member in Wales! We offer many free evening events at the club. These include darts, cards, pool, poker, bingo and you could even join one of our bat and trap teams. We are members of the local darts, pool and bat and trap leagues and have several teams that take part over the season. We offer a range of beers and spirits with special promotions running on a weekly basis, just check the specials notices. We are also bringing in loyalty cards for those either drinking draught beers or cider or one for soft drinks. Catering can be arranged for functions if you wish at the starting cost of £5 per head for a buffet. Membership is £25 per person (£20 with our flyer) or £20 if over 60 (£15 with our flyer) however this promotion must end at the end of the year so get in quick. Why not come along to the Quiz night hosted by Alan. He holds these monthly in the main hall and it consists of six rounds based on various subjects. CAFE PLUS 2, A St Justus Church initiative, meets every Thursday morning from 10.30am - 12.30pm in the Lounge Bar at the club. All are welcome! Join us for tea, coffee, cake and biscuits in a relaxed environment where you can join in the games and activities or just pop in for a chat.